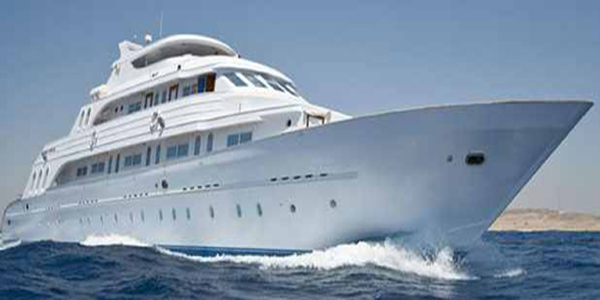 M/Y Brina port of call is Sharm el-Sheikh, cruising the routes of the northern Egyptian Red Sea; Northern Classic Route in the Strait of Tiran and Strait of Gubal, North Wrecks Route in the Gulf of Suez, and Deep North inside the Gulf of Aqaba, along with Kite Surfing Safaris. 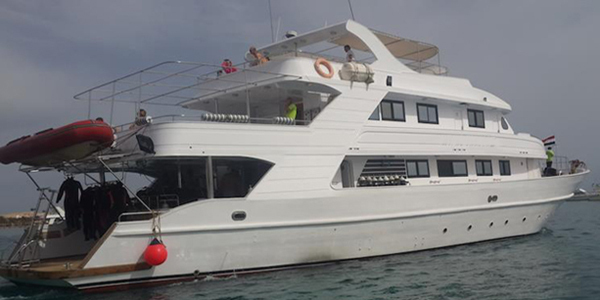 M/Y El-Farouk II port of call is Hurghada, cruising the routes of the the mid and southern Egyptian Red Sea; North Wrecks Route in the Gulf of Suez and Strait of Gubal, South Safari around Hurghada, Brother's Islands out to sea from el-Qeiser, and further south around Elphinstone Reef and Daedalus Island. 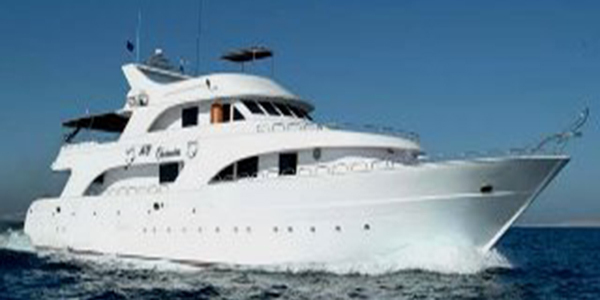 M/Y Grand Sea Serpent port of call is Marsa Alam, cruising the routes of the southern Egyptian Red Sea; the Rocky Islands and the Island of Zabargad, plus St. John's Reefs in the deep south near the border of Sudan. 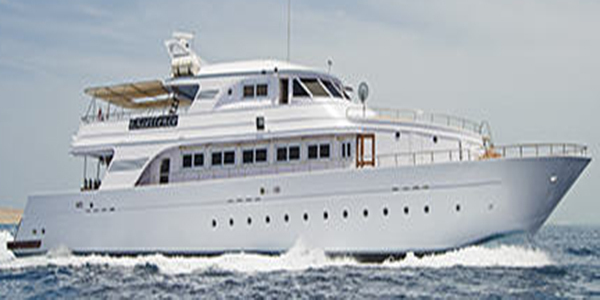 M/Y Excellence port of call is Porto Ghalib, cruising the routes of the southern Egyptian Red Sea; the Rocky Islands and the Island of Zabargad, St. John's Reefs in the deep south near the border of Sudan, and also provides itineraries in Sudan. 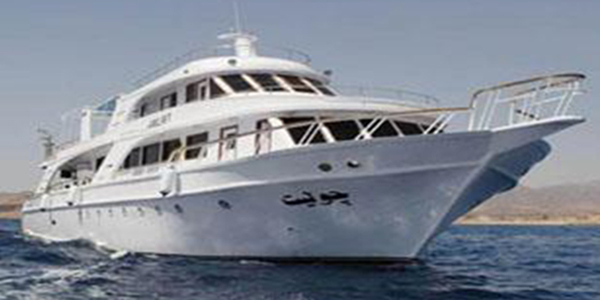 M/Y Juliet port of call is Sharm el-Sheikh, cruising the routes of the northern Egyptian Red Sea; Northern Classic Route in the Strait of Tiran and Strait of Gubal, North Wrecks Route in the Gulf of Suez, and Deep North inside the Gulf of Aqaba, along with Kite Surfing Safaris. 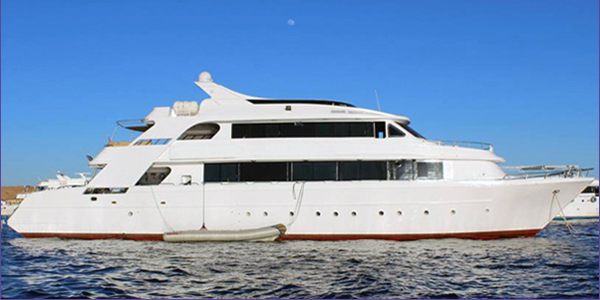 M/Y Golden Dolphin port of call is Hurghada, cruising the routes of the mid and southern Egyptian Red Sea; North Wrecks Route in the Gulf of Suez and Strait of Gubal, South Safari around Hurghada, Brother's Islands out to sea from el-Qeiser, and further south around Elphinstone Reef and Daedalus Island. 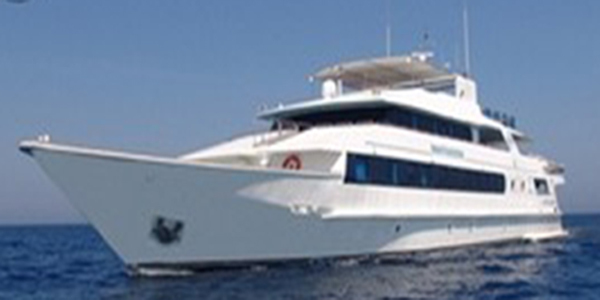 M/Y Obsession port of call is Marsa Alam, cruising the routes of the southern Egyptian Red Sea; the Rocky Islands and the Island of Zabargad, plus St. John's Reefs in the deep south near the border of Sudan. 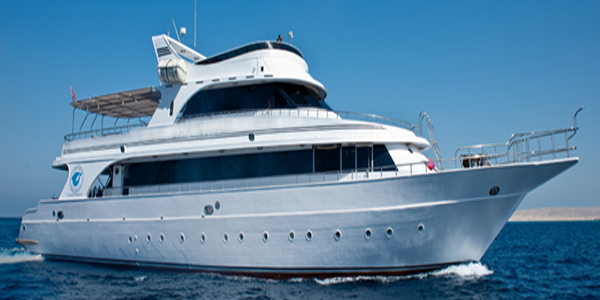 M/Y Royal Evolution port of call is Porto Ghalib, cruising the routes of the southern Egyptian Red Sea; the Rocky Islands and the Island of Zabargad, St. John's Reefs in the deep south near the border of Sudan, and also provides itineraries in Sudan.